A young man struggles to keep his wits together while caring for his terminally ill mother. White is a highly complicated and nuanced figure. We're torn between contempt for his narcissistic ways and sympathy for his genuine love and affection for his mother. Life has dealt him a cruel hand, and he's looking for an antagonist to strike out against, but the film never conveniently gives him one, just as life rarely does. Whenever a movie opts to simply assign the name of its protagonist to its title, alarm bells ring. If the filmmakers can't even come up with an original title, how can we be inspired to watch their movie? In the case of James White however it's entirely justified. 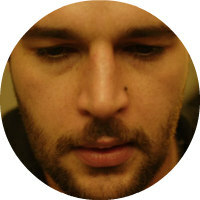 Christopher Abbott's titular character is present in almost every frame of writer-director Josh Mond's film. Filmed largely in close-up, Abbott performs a dual role of lead actor and location; we get to know every line in his stressed out face, every bead of sweat, every tear. In a shot borrowed from The Bourne Supremacy, James emerges from a 'night' club into daylight Manhattan before taking a taxi to the home he shares with his mother Gail (Cynthia Nixon), who is in the late stages of terminal cancer (Nixon is herself a cancer survivor, and here delivers her best work since her days of collaborating with Robert Altman). Gail's Jewish ex-husband and James's father has passed away, and the extended families are gathered for a week of prayers, a situation that severely stresses James out. Reconnecting with old friend Nick (Scott Mescudi), James heads to a Mexican resort to get his head together. There he meets and begins a sexual relationship with a teenage girl (Makenzie Leigh), but his fun is cut short by a phone call from Gail, who needs him to return to New York, as her situation is rapidly becoming worse. Mond is a partner in the production company Borderline Films, along with fellow writer-director-producers Sean Durkin and Antonio Campos. The trio have rapidly established themselves as the Holy Trinity of American independent cinema, having previously given us Durkin's Martha Marcy May Marlene and Campos's Simon Killer, and their work is so homogenous it's easy to theorise, like a reversal of the popular Shakespeare conspiracy theory, that it's all really the product of one artist. 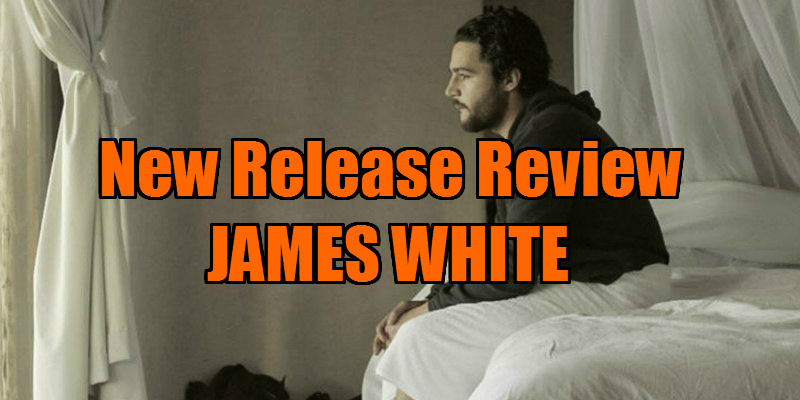 Like those two aforementioned movies, James White is another psychological drama about a damaged young protagonist, and all three productions are led by outstanding central performances. None of this year's Best Actor Oscar nominees hold a candle to Abbott's turn here, and none of them are playing characters anywhere as interesting. White is a highly complicated and nuanced figure. We're torn between contempt for his narcissistic ways as we witness him start bar brawls and verbally and physically abuse strangers, and sympathy for his genuine love and affection for his mother. Life has dealt him a cruel hand, and he's looking for an antagonist to strike out against, but the film never conveniently gives him one, just as life rarely does. Friends rally around, but James' mind is too melted for their help to be useful. His frustrations are understandable, even if his sociopathic actions aren't. 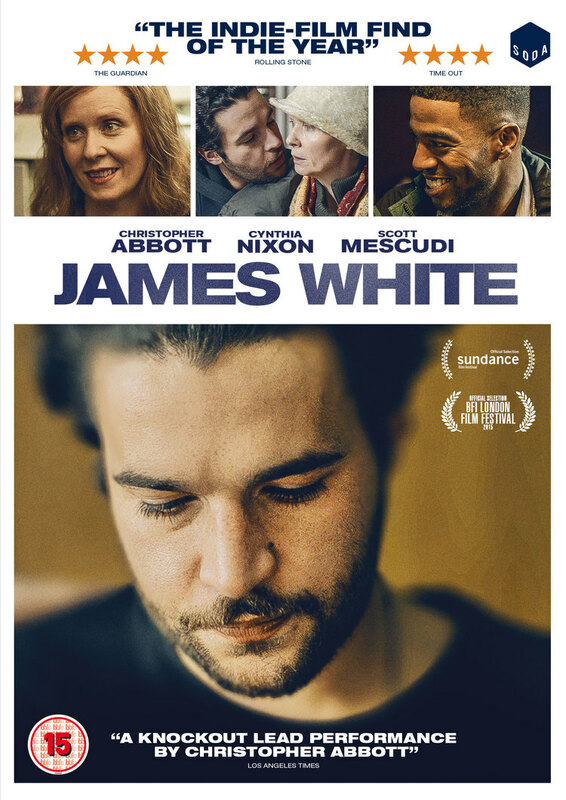 At the end of the film we get the feeling James could easily morph into one of the protagonists of Martha Marcy May Marlene or Simon Killer, seeking refuge with a cult or travelling to Europe to carry on down a road of narcissism, but despite his abrasive nature, we're ultimately left wishing him well.